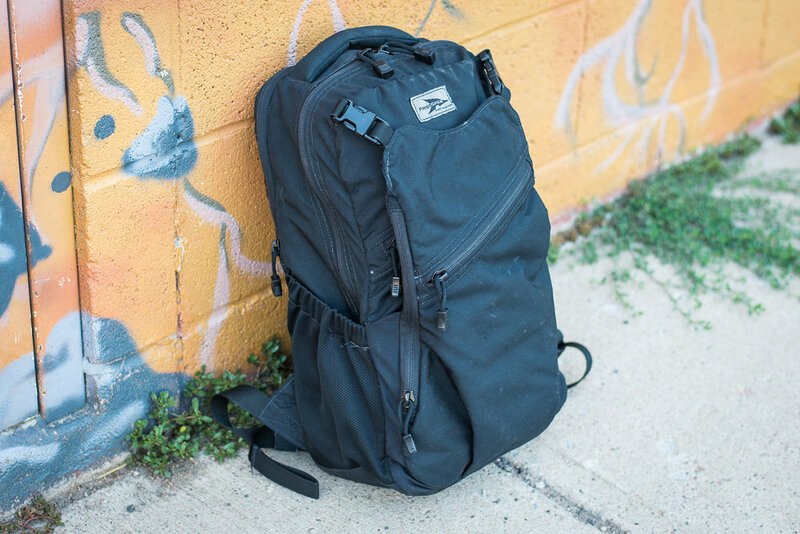 The Comm Pack from First Spear has been around for years and has gained a bit of a cult-following. It is highly regarded by those who have used it, but those individuals are not easy to find. We will be looking at the medium-size variant in this article, which comes in at 980 cu in or about 16 liters. 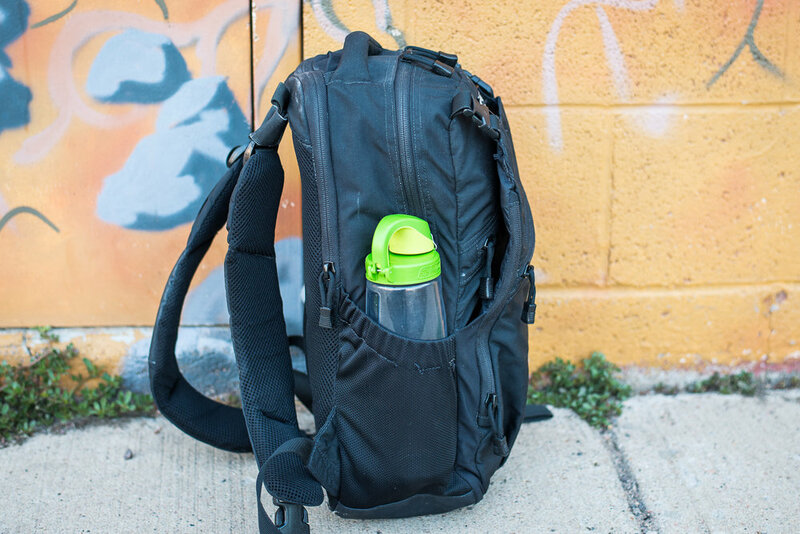 The main body of the pack features mesh water bottle pockets on the sides (these gladly accept 1 liter Nalgene bottles), a hypalon reinforced bottom, a bead-filled carry handle up top and a mesh covered padded back panel. There is a sleeve pocket designed for a hydration bladder (which houses the First Spear ECP frame sheet nicely) and a hose port for ease of routing. Opening the main compartment reveals a lightly padded laptop sleeve (13" MBP fits here well), an unpadded sleeve on top of that, two zippered mesh pouches on the opposite wall, as well as an access port into the hydration compartment. On the exterior of this main compartment is a full height zippered slash pocket. The bag further incorporates a beaver-tail type area that is not adjustable and features two additional zippered pockets, one on the exterior-most face and one in the side of the beaver-tail. Both of these pockets are the same size as the footprint of the beaver-tail. The pack is carried on a pair of over-padded shoulder straps that do not include a sternum strap, though the user could add one. Overall, I found the pack well constructed, but the design left me scratching my head at several points. The hydration port is made from a stretch material that does not sufficiently seal the bag's main compartment from the elements, and sits directly above the laptop sleeve. The 3 different external zippered pockets are all stacked on top of each other and are all the same basic footprint. The result is that these pockets provide little means for organization of smaller items (everything placed here just falls to the bottom) and strive with each other for space when packed with anything bulky. The non-adjustable beaver-tail greatly limits it's usefulness. The laptop sleeve is too lightly padded to suit my tastes, and the shoulder straps are narrow and over padded, making the shape too round for comfortable carry, never mind the missing sternum strap. 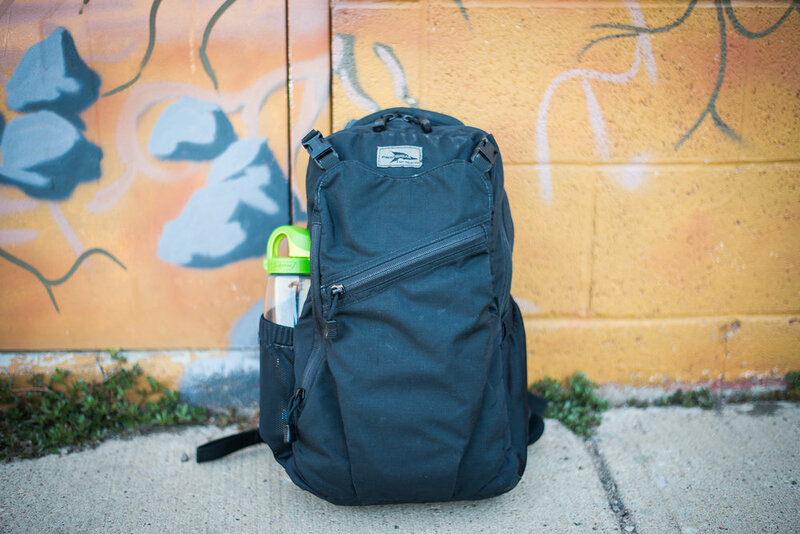 The pack is in a sort of odd spot in the market in that there are very few packs under 20 liters that feature built in device protection, and so it must remain in that discussion. However, the consumer must realize the pack is a bit quirky and weird, and may need to adjust the way they organize their gear in order to make this pack work for them. Carry on all and God bless you!